My mother maintained that she never received a grade below an A until working on her Ph.D. Then — she told us — she received one B+ and it was the highest grade in the class. 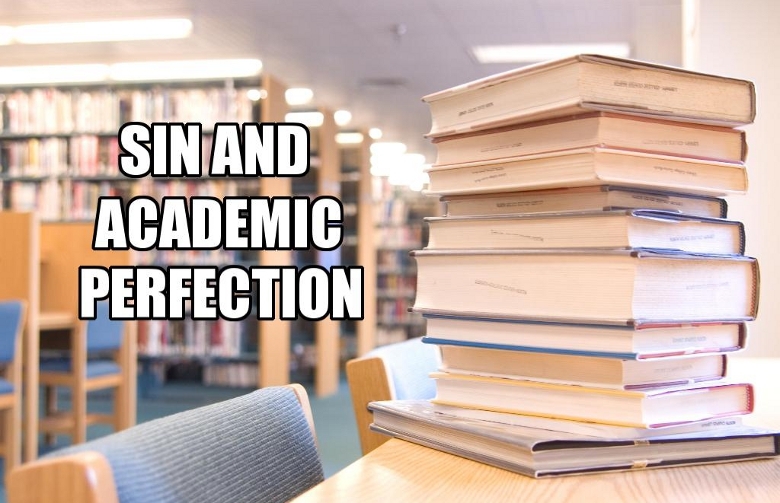 That perfect academic record is the standard to which my brother and I were rigidly held. I almost made it. I graduated from high school with close to a 4.0, though I was neither the valedictorian nor the salutatorian. I went to Stanford University, earned admission to Phi Beta Kappa as a junior and graduated “With Distinction”. But I was so paranoid about achieving a less than perfect record that — free from my mother’s control — I avoided my grades. Back then, Stanford had a policy of not mailing grades to parents or students. If you wanted to know your grades, you had to physically retrieve them from an office. The coursework was hard. The competition intense. Everyone seemed to have a 4.0 or higher. I was competing against the best and the brightest, and I knew I would not come out on top of that heap. But my mother would ask. In fact, about the only thing she asked about my college career was “how are your grades?” I could truthfully answer: “I have no idea, they notify me if I fail anything, No notifications — yet.” It drove her crazy. By my third year, she stopped asking and I decided it was safe to pick up my grades. I did earn a couple Bs along the way, but I didn’t tell her. I just mentioned that Phi Beta Kappa thing. She didn’t make time in her schedule to attend the induction ceremony where I officially signed the Phi Beta Kappa book and got my key. After my mother died, my father found her college transcripts as he was cleaning out her office. Not only did she have several B’s, she had numerous C’s, D’s and even an F or two! None of us ever knew the truth. The standard to which she held her children was higher than she reached. I took some satisfaction in learning I’d beaten her at her own grade game. But the satisfaction was small and fleeting. All through my academic career I rubbed shoulders with people smarter than I. The standard was always higher than I could reach, no matter how high I made it or how I hard I tried. We like to maintain the facade that “any grade below an A is the highest in the class” and therefore good enough. The problem is it doesn’t matter. It’s not what’s on the outside that counts. It’s what’s on the inside that counts. Inside we are all the same. The same sin that makes someone murder makes me hate or snap off cruel comments or thoughtless remarks or unkind critical judgments. The standard of holiness is not my neighbor, the standard is the holiness of God. Sin is sin. Everything below an A is still not an A. God does not grade on a curve. For more on this topic, please listen to the podcast.